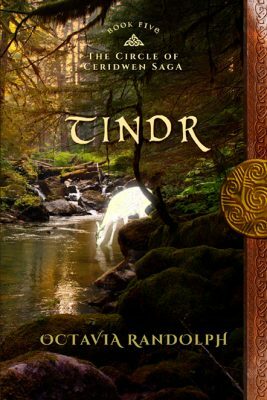 Tindr, the latest novel in the Saga, is now available. It takes place on the beautiful Baltic island of Gotland, on which most of Book Four, The Hall of Tyr, was set. And as you can tell from the title, the main character is indeed the young deaf hunter who you met in Tyr. The character Tindr became increasingly important to me as I was writing The Hall of Tyr over the Winter of 2013-2014. When I returned to Gotland in May 2015 I thought I would write a novella about him, as I just could not forgot him. While I was on the island I realized I needed to do much more; that Tindr, and his island home, deserved a full novel. Now it is here. Tindr takes you inside this young hunter’s silent but expressive world, and out into the forests he loves. You’ll meet his father Dagr as an adventurous young man, and experience with Dagr his first meeting with Rannveig, the spirited redhead Fated to become Tindr’s mother. You’ll see Tindr grow from child to man, and share in his triumphs and heartache. You’ll grow close to his friends, and protective older cousin, Ragnfast. And you’ll be watching when strangers who will change Tindr’s life arrive on the trading road – a formidable Danish warrior, and his Welsh-Saxon bride. Tindr’s challenges are many. His deafness serves to exclude and isolate him, and he is happiest in the greenwood, where he is free of bullying, judgement, and the pitying looks of others. His rare sensitivity to, and empathy with animals underlies the reverence with which he hunts – and the Goddess he worships, Freyja. Yet it seems no mortal woman will choose him. It was exploring, and answering these questions that made Tindr such a satisfying novel to write. And without my return to Gotland last year, it would be a very different story, one lacking the powerful immediacy of the landscape of the island itself. The backdrop to Tindr is not only the men and women who surround him, but the towering rauks, ever-blowing winds, brilliant skies and clear air of this island sanctuary. Gotland itself is almost a character in the novel, and an intrinsic part of Tindr, the man’s, inherent nature. 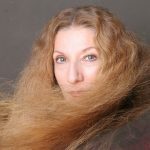 My series is named The Circle of Ceridwen Saga for a reason – as a reader you know the diverse characters that move in that circuit around Ceridwen, men and women and young people in whom I have a deep level of interest, an interest which I hope and trust you share. In this new novel we come face to face with the respective sons of Ceridwen and Sidroc – Ceric and Hrald – and begin to know them more fully as individual personalities with their own aspirations. (You’ll see more of them, promise.) Tindr has valuable things to teach them, as he does with almost all he interacts with. I’m grateful to those of you who latched onto my idea to write about this exceptional young man, and spurred me on to do so. I left a few hints here and there early last year, and the response was immediate and positive. I hope I’ve given you – and Tindr – a worthy tale. I have just finished Book 3 in the series and am wondering where do you go after Book 6? Perhaps there will be a Book 7 or even another series. Have thoroughly enjoyed them. Hi Octavia, I’ve just finished your first book in the Circle of Ceridwen and enjoyed it very much. I had a thought while reading it that you could write about the Viking effect in Wales and beyond?